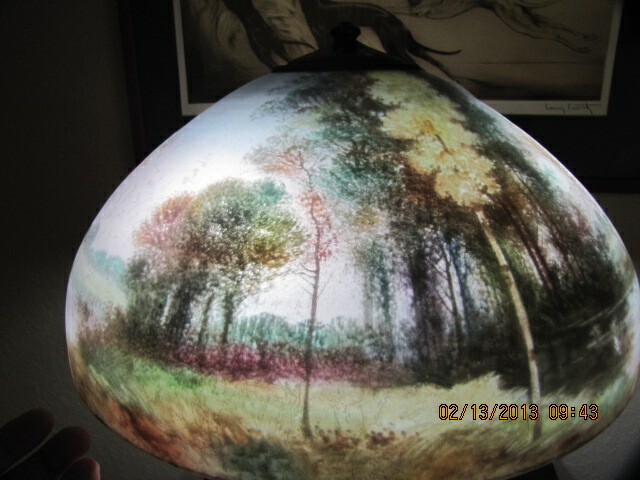 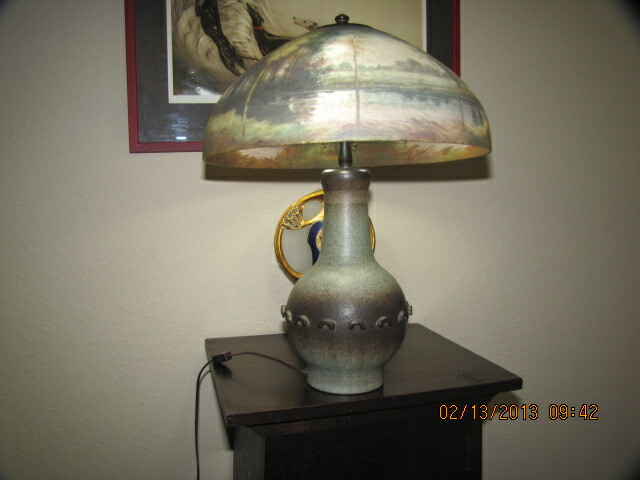 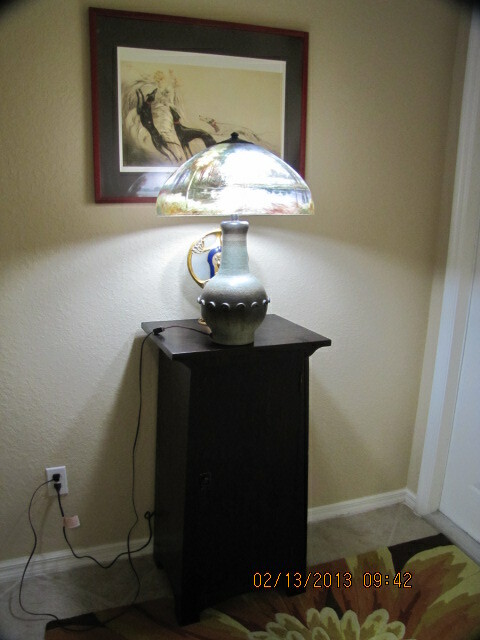 Here offered by Don Shay is a very nice HANDEL 18" x 24" table lamp. 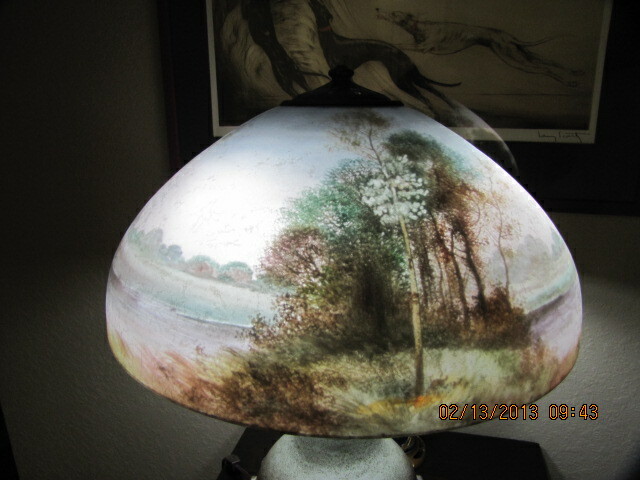 Fully signed and numbered 6638 and artist signed by RUNGE. 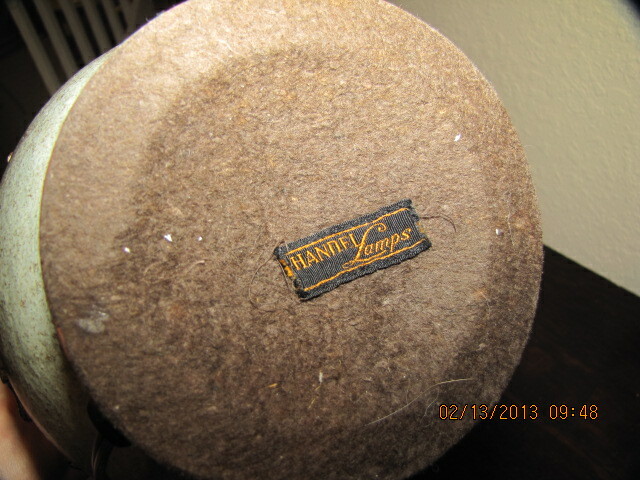 One of HANDEL'S artists, highly listed in his own right. 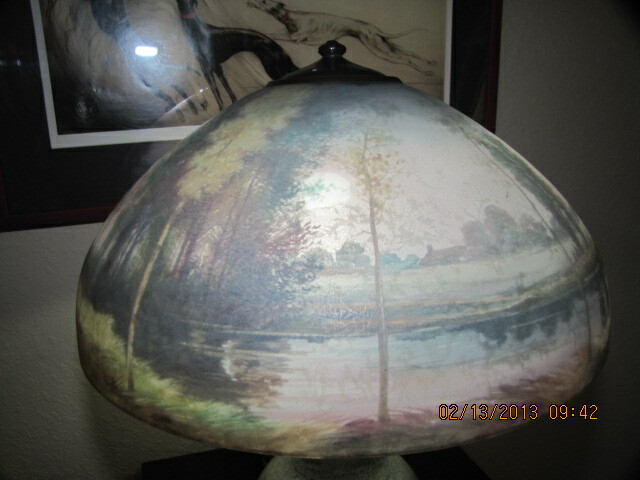 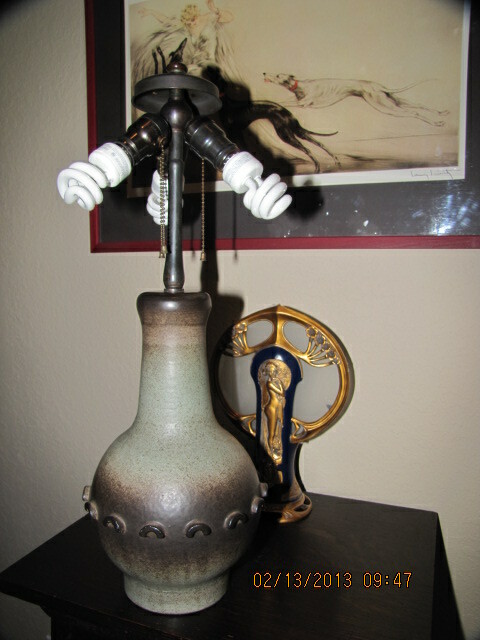 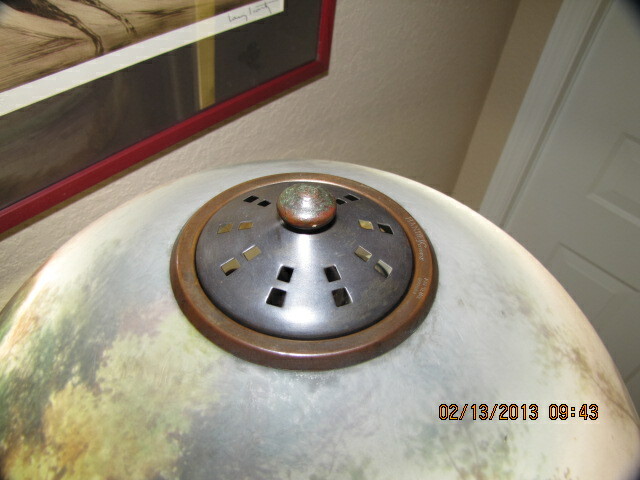 This lamp is in excellent original condition in all ways, free of any chips or cracks or anything at all. 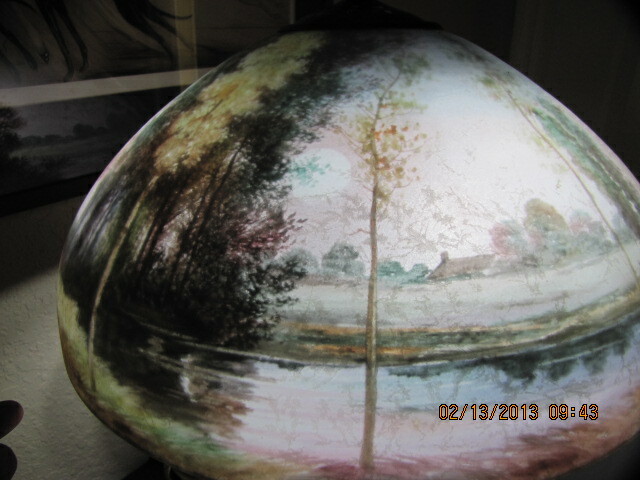 The finish is chipped ice. 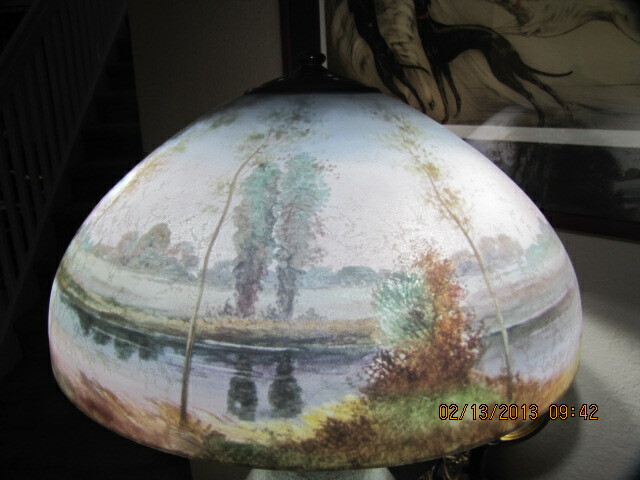 Notice the arts and crafts vertical trees, full moon reflecting on the water Excellently executed with superb artistry. 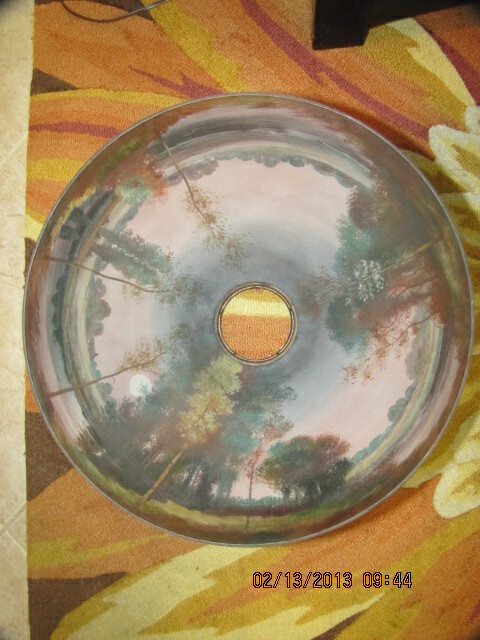 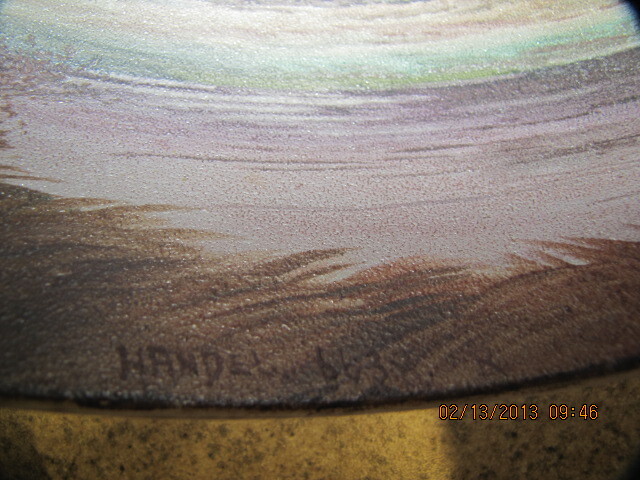 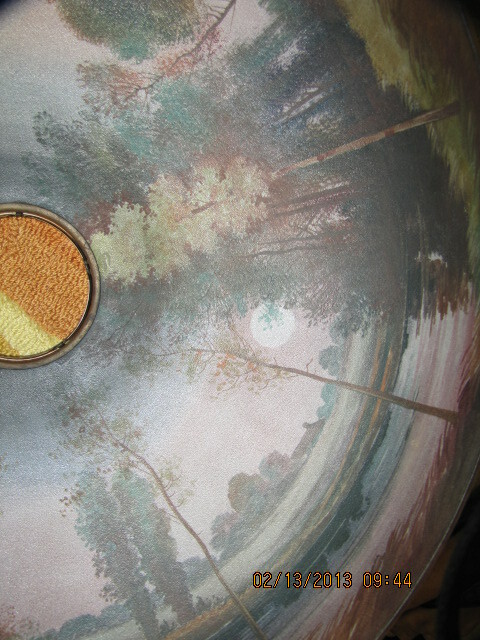 The base is pottery, properly signed with all the original Handel hardware.